Dude, you just found my kryptonite. I'd so be for this. It would solve the problem of the boring blank canvas that is space. Absolutely, I would love this. 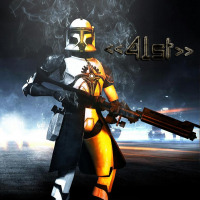 I was hope EA's Battlefront would be closer to this and seems doable. Rogue squadron. Love those games! RS3 had some beauty levels, RS2 was the best version overall though. Fighter squadron is only part of a Bigger game, its not its own series. Fighter squadron in space would be so boring! FS is my favorite game mode. It needs more!! 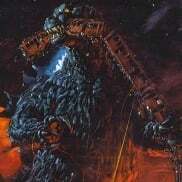 All i want to do is destroy a StarDestroyer like the movies!!!! I'd be happy with them fixing the bugs and balancing it. I think battle over the Death Star will scratch my "space itch". I just hope they get FS fixed by then. It's horrible. Large ships being a part of the field of play would be very cool, regardless of being in space or the lower atmosphere. Treating them like AT-ATs where they can be damaged, shoot at fighters, and have multiple turrets that players can jump into and control would be really fun. Over in the "missions feedback" subsection we've discussed this before and envisioned some pretty cool larger FS modes that would be kind of like WA. Large ships in fighter squardon would be great. They could even add playable Y-Wings/TIE-Bombers to fighter squardon if this is going to happen. Bombers would be very usefull for attacking capital ships. Yeah I thought they would have capital ships in the playable areas to make the battle seem larger. When the teaser trailer arrived they did have capital ships flying around. A few months back, didn't Dennis say he was investigating the possibility of getting Capital Ships into the playable area? 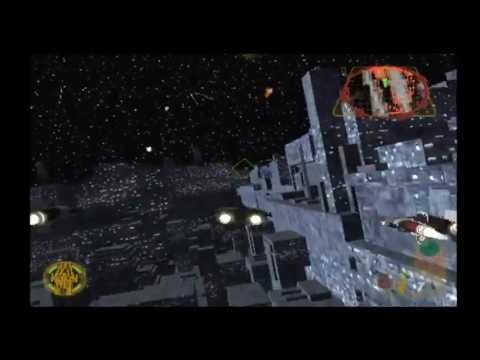 If they did decide to emulate this it'd be absolutely incredible with the current engine and graphics. I'd like to see the Trench Run and Inside of death Star 2 Flying Through Tight corridors with Laser Turrets everywhere. I'd like to see the Executor up close, or watch it crash into the Death Star. Wanna see Vader's Tie Advanced with two Tie's Following him, control all three vehicles and Guns. 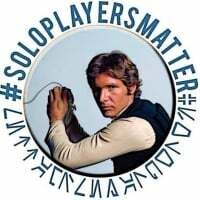 #SoloPlayersMatter: Skirmish was officially confirmed as Arcade Join us on Facebook (870+ members) and on Twitter! Yes! Dennis Actually said he would like to see that changed. I'd love to spawn out of hanger sometimes! And since they already have those turbolaser towers on the sullust map, that do shoot at rebel ships, they could probably cut and paste them onto a star destroyer or whichever such ship. I heard the executor was on a diplomatic mission - you should be ashamed! They do have the X-Wing Series on Steam as well as the old Rebel Assault games on the cheap for any PC players that want to relive the glory days. 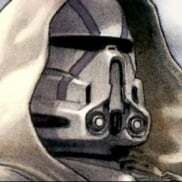 I agree, there was always a separate bit of action in all the movies from the OT and those afterwards as well - there was the battle in space and on the ground....If there is not a trench run of some sort for the death star expansion, there might be a real rebellion from the FS players. Yes..yes. We want Atmosphere Battles...on a larger scale. Give Feedback in the Feedback section, developers want to hear from you! Tweet feedback to EA_Star Wars! Need Capital Ships in playable area!